SBHU addresses the broad and discipline-specific issues and subjects that are both current and increasingly relevant in today's world. Its participants bring fresh ideas and research-based knowledge to the world of academia and beyond, meeting the needs of the public and private sectors. The Speakers Bureau allows faculty additional opportunities to showcase their research through a variety of multi-media formats. While many faculty members conduct research that addresses the health, economic, political, and social disparities among underserved populations, others conduct research with broad national and global applicability, particularly in the STEM fields. For many years, Howard University faculty members have comprised one of the world's largest groupings of diverse scholars. Their expertise covers the full range of subject areas, with broad appeal nationally as well as to their global constituents. To meet the diverse needs of a global constituent base, SBHU speakers offer both web-based and traditional lectures and seminars on a variety of platforms. In addition to the traditional opportunities, participants may be available for online chats and webinars, as well as face to face lectures and seminars. How do I secure a Speaker for my event? Please contact Jamie Triplin, jamie.triplin@howard.edu, if you wish to contact SBHU speakers for speaking engagements. Determine your budget, which should be worked out directly with the speaker. Secure signatures from the speaker and the agency/organization representative based upon the agreed upon details. Ensure that deadlines are clearly understood and are adhered to well in advance of the agreed upon engagement with sufficient turnaround time in case of unscheduled emergencies or occurrences. The contract fees or expenses are based solely on the terms as specified by the speaker and the client for speaking at an event. 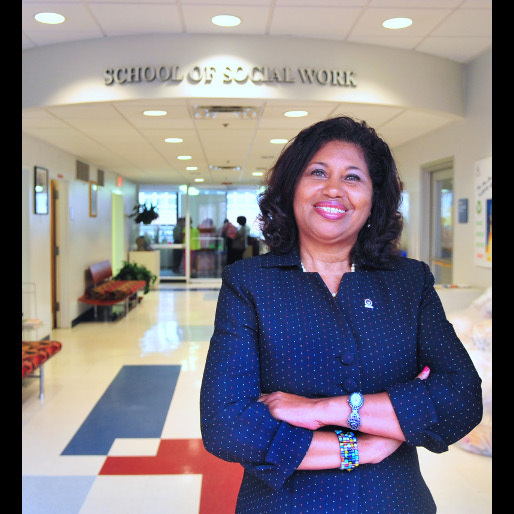 Howard University seeks always to live up to its mission that includes teaching, research and service; therefore, faculty members will normally place service to their constituents above any remunerative value. There is no commission for the event scheduling. Who can help me with the logistics and getting the speaker to my event? All logistics, flight reservations, airline tickets, and local transportation are handled strictly between the client and speaker. Are there any press considerations? Speakers will normally follow the client’s wishes regarding press attendance at an event. This should be handled before the scheduled event, with a time for press briefing either before but generally after the event. Such an event should be discussed at the time of the initial agreement. The speakers are speaking solely for themselves and not on behalf of Howard University. Cancellation shall be handled solely between the speaker and the client. Contact the Howard University Office of University Communications (202-238-2332) for information on media training. The Georgetown-Howard Universities Center for Clinical and Translational Science (GHUCCTS) is a multi-institutional consortium of medical research institutions forged from a desire to promote clinical research and translational science. The members of the GHUCCTS consortium are Georgetown University (GU), Howard University (HU), MedStar Health Research Institute (MHRI), Oak Ridge National Laboratory (ORNL), and the Washington Veteran’s Affairs Medical Center (VAMC). Through multiple partnerships and collaborations among the member institutions, GHUCCTS is transforming clinical research and translational science in order to bring new scientific advances to health care. GHUCCTS was founded on six basic principles that have been endorsed by each of the member institutions. These serve to identify the overall purpose of the consortium, as well as key aspects of its research activities, governance, and focus. These principles form the foundation of the consortium itself, as well as the GHUCCTS programs of research and education. The GHUCCTS is partnering with the Speakers Bureau of Howard University as a means of furthering its community outreach goals.